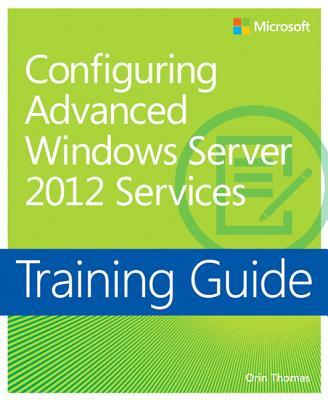 Designed to help enterprise administrators develop real-world, job-role-specific skills this "Training Guide" focuses on advanced configuration of services necessary to deploy, manage and maintain a Windows Server 2012 infrastructure. Build hands-on expertise through a series of lessons, exercises, and suggested practices and help maximize your performance on the job. Orin Thomas is a consultant, writer, and Microsoft MVP whose books include the Microsoft Press Training Kits for Exams 70-646, 70-647, 70-662, and 70-680. He is also a contributing editor for Windows IT Pro magazine.